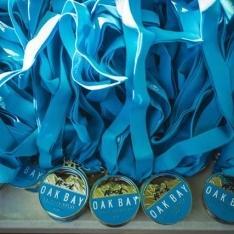 Each August during Oak Bay’s Art & Culture Festival, Bowker Creek (between Oak Bay High School and Hampshire Road) comes alive with artists and art enthusiasts. Over 40 artist come down, set up their easels, display their art, and paint away – providing demonstrations and insight into how they create their art. For more information, contact the Oak Bay Community Artists Society.